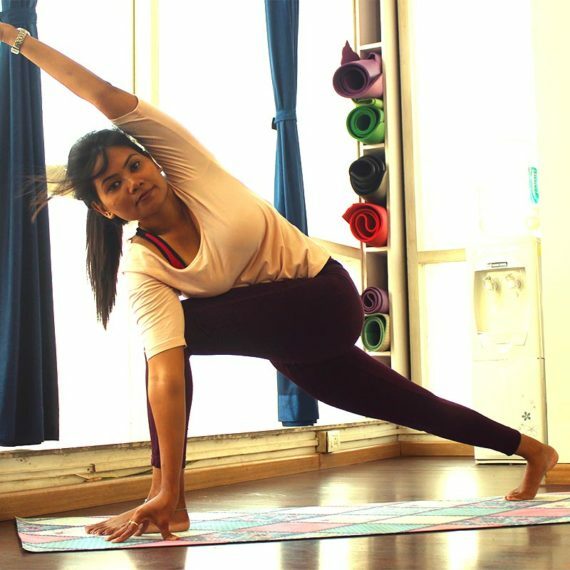 Bhumika is a young, enthusiastic and highly motivated yoga trainer who trains our clients in the Andheri West, Juhu and Bandra areas. Bhumika combines the practice of asanas and pranayam with body weight movements to create a holistic fitness and wellness experience in all her sessions. 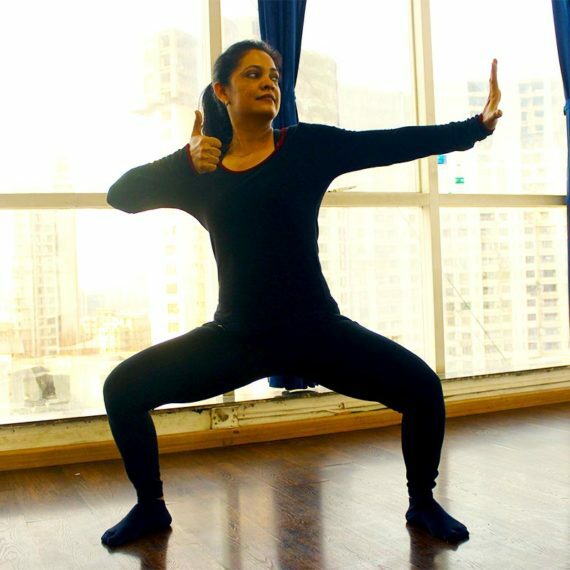 Bhumika currently freelances as a personal yoga trainer. When asked why she loves teaching yoga, Bhumika mentions that she considers teaching yoga as an art and that it is a panacea for the stresses and lifestyle diseases that our modern hectic lifestyles are creating for all of us – both young and old. If you are stuck in a rut and want a vibrant, energetic and qualified yoga trainer to guide you, then Bhumika can help you get into a regular practice that will help you reap the full benefits and the power of yoga! Bhumika has finished her 200 hour teacher training certificate with distinction at the Yoga Vidya Gurukul Nashik. What is Bhumika's philosophy towards teaching yoga? Bhumika believes Yoga helps us become more aware of the world around us. Regular practice of yoga helps us to perceive the life force energy that runs though all of us and thus change our lives for the better. Is Bhumika available for personal training? Yes. Bhumika is available for personal training in the Versova & Andheri West areas of Mumbai.